It is important that all pupils wear the correct uniform for safety and to reflect our high standards of achievement and behaviour. Mobile phones, MP3 players etc. are NOT allowed in school. If a pupil brings a mobile phone into school for exceptional reasons, it must be handed into the school office at the beginning of the day. 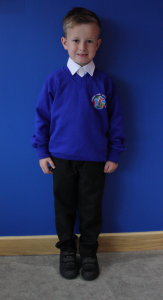 School uniform can be purchased from Uniform Direct in Grimsby or from their website, here. 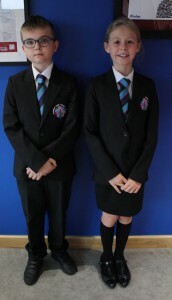 During the summer term pupils will be able to wear either a blue gingham summer dress or black tailored shorts. Safe and sensible footwear, (i.e. no slip on mules, clogs or high heels). Please name all items and place in a named bag, which should be left in school all the time. Would you please encourage your child to take responsibility for his/her own PE kit; by reminding him/her to bring it home to be washed and returning it to school afterwards.